Unlike sentries in a guard tower, they are not an easy target for snipers. The latest perimeter-monitoring thermal imaging systems will relieve soldiers from stressful and exhausting guard duties. The Russian Defence Ministry is due in 2017 to receive the latest mobile alarm systems developed in Russia. These thermal imaging systems will allow round the clock surveillance of terrain in all weather conditions, with the minimum number of army personnel. According to analysts, such systems in the armed forces will allow troops to reliably protect military facilities from intruders and spies, without endangering the lives of soldiers. 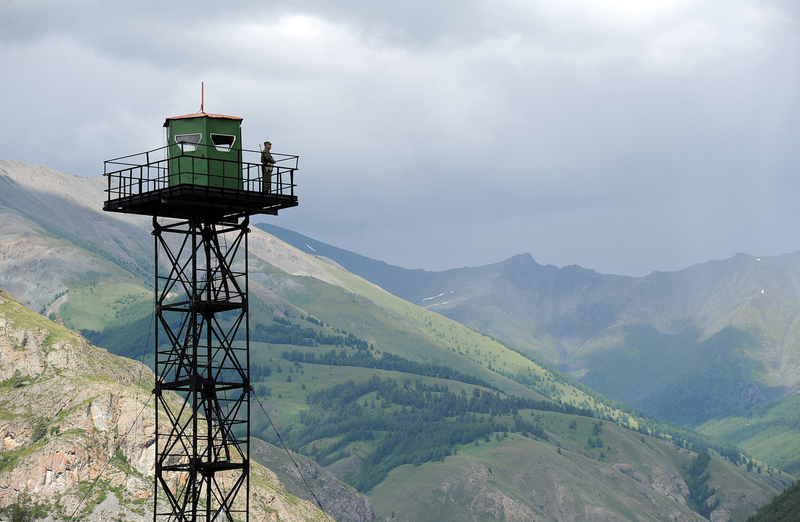 The latest Guardian (‘Strazh’) system, designed and built by the Start-7 Company, is a set of quick-assembly observation towers, ranging in height from 8 to 16 meters depending on the terrain. These masts are equipped with thermal imaging and high-resolution cameras, which are mounted on a rotary device and enable the operator to monitor the surrounding territory 24 hours a day. The Guardian can detect any person penetrating a restricted area at a distance of 4 km, and a combat vehicle at a distance of 6 km. The system may include up to 16 thermal towers connected by fiber optic cable or wireless radio to the control centre, located up to 30 km away. Images obtained from cameras and thermal imagers at each observation point, will be displayed on a monitor in the control centre, and continuously stored on a hard drive. The operator of the Guardian complex can set up an automatic monitoring order for each thermal tower, paying special attention to areas vulnerable to penetration. If an intruder is detected, the operator can take over control of the cameras and operate them manually. For protection from vandals and saboteurs, each observation tower in the system is equipped with its own security system; a fence with barbed wire and a signaling mesh. Each tower has a short-range supplementary camera, which is activated after the alarm is tripped in a section of the fencing, and turns in that direction, transmitting images to the operator. Depending on the location where the observation mast is erected, it can be powered by a cable directly from the control centre, or work from its own set of batteries. “In the last decade and a half, quick-assembly towers, allowing observation of the terrain using video cameras or thermal imagers, have been commonplace in the armies of NATO countries,” military analyst Yury Lyamin told Izvestia. “These are generally used to protect field camps, and are part of the state border protection system. Among such systems are the British observation tower Selex Galileo Observer 250 and the American Cerberus tower. Lyamin said in comparison with conventional sentries, quick-assembly surveillance points have many advantages; they reduce the workload of staff in guard stations, allowing a few soldiers, working in shifts, to simultaneously monitor a multitude of areas. At the same time, unlike sentries in a guard tower, they are not an easy target for snipers.